This post and blog contains affiliated links and ads which means I may receive a tiny portion for any click or purchase. 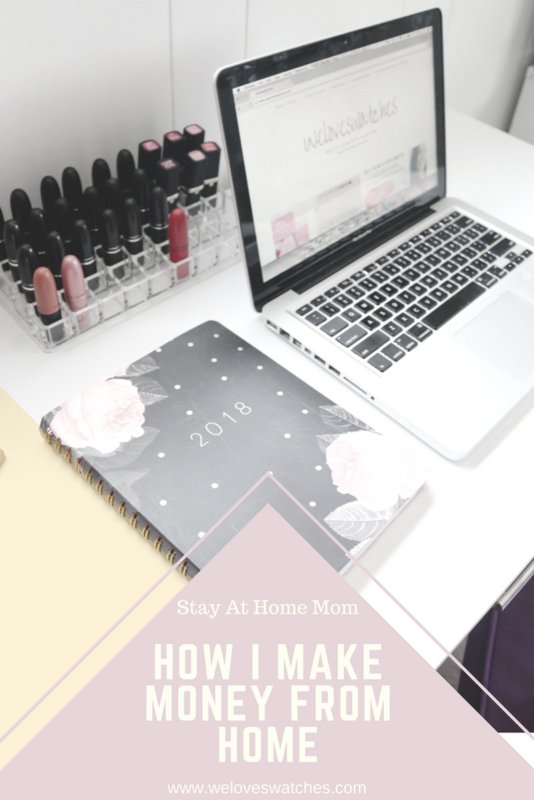 A while ago I made a couple of posts about making money from home and I thought I would do a little revamp and update on all the ways I make money at home. I am a stay at home mom, which I love. My daughter is 8 months old and I love being home with her every step of the way. Being able to watch her grow and see all her first's means the world to me. Before to begin, I do not make a "ton" of money. I am lucky enough to be able to work from home while my boyfriend works outside of the home. If it wasn't for him working, I wouldn't be able to be a stay at home mom. The money I make on the internet is just extra money we have to go towards bills, stuff we need in the house, my shopping trips to Target etc. I have found quite a few websites that work for me and having my blog has helped bring in some extra income as well. I have a lot of information to go over with you so let's begin! (I will be sharing a lot of links that are affiliated. Which means I may receive money if you sign up for any of these). The first thing I will talk about is different websites that allow you to receive free gift cards. Swagbucks: This is my go-to site to receive freebies. I will either redeem Amazon gift cards or PayPal giftcards (which means they just deposit money into your PayPal account). I use Swagbucks so often that I was able to make $100 for the month of September. I know Swagbucks can be a little bit confusing, but I stick to one thing and one thing only on the website. When you starting earning your SB, I stick to using nCrave under the video tab. With the nCrave's there is two options listed that are movie/website playlist. These playlist will automatically keep playing. Whenever I am sitting watching tv, shopping, doing house work or even cooking dinner, I just let the playlist keep playing. I can typically get about 150 SB's a day just from that. And on top of it, if you reach your daily goals, you will get a pretty big bonus at the end of the month which is a huge plus. If you would like to signup you can do so here. The nCraves isn't the only way you can get SB's. You can also shop through Swagbucks and receive points with each purchase. You can do surveys and also play different games. But after years and years of being on Swagbucks, the nCrave has been the most efficient for me. MyPoints: This is pretty much the same thing as Swagbucks, but just on a different website. So it really just depends on which set up you like better. I like to use both and just go back and fourth. I also use the nCraves on Mypoints since it is set up the same as Swagbucks. You can sign up for MyPoints here. These are the two websites that I use on a daily basis to bring in some extra income. 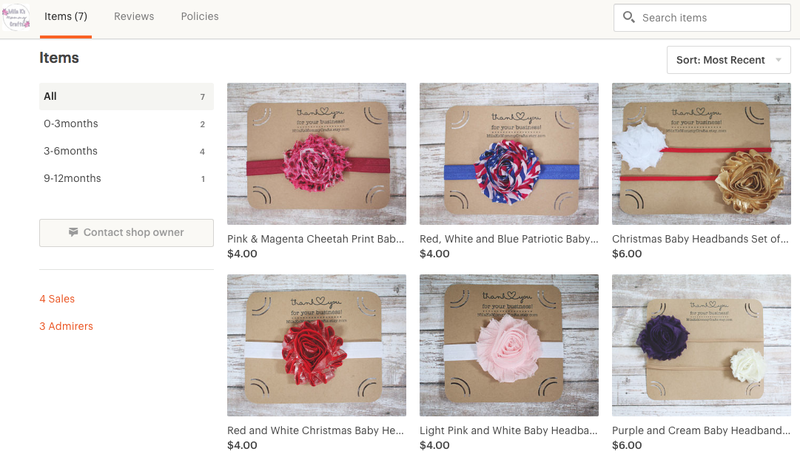 Another thing I did to bring in some extra income was creating a Etsy shop. It was something I have been wanting to do for a long time and I finally did it. You can come up with some many ideas of things to create and sell. I went with baby headbands since I have a daughter and thought it would be a fun hobby. If you would like to check out my Etsy shop you can check it out here: MilaKsMommyCrafts and also on Facebook at www.facebook.com/milaksmommycrafts. My blog is a really good source when it comes to my income, but I plan on doing a whole separate post on that in the near future. 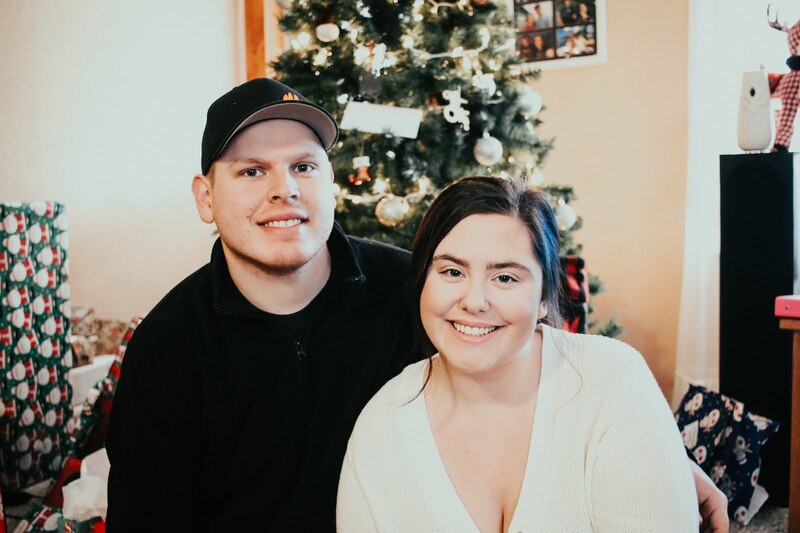 When you have a blog there is a lot different places your income can come from, so I want to make sure I have a dedicated post to just that so I can explain everything. And I will also do another post in the near future on easy ways to save money and money saving apps. I have tons and tons of tricks and tips to share with you, so I hope you find them helpful! Let me know in the comments below if you have any requests on any of these topics or if you have any questions. I could talk about this kind of stuff for days!